Imagine dicing just one pepper with your hands and involuntarily, rubbing your eye few minutes later…. Anyone who has been around the kitchen can relate to that! 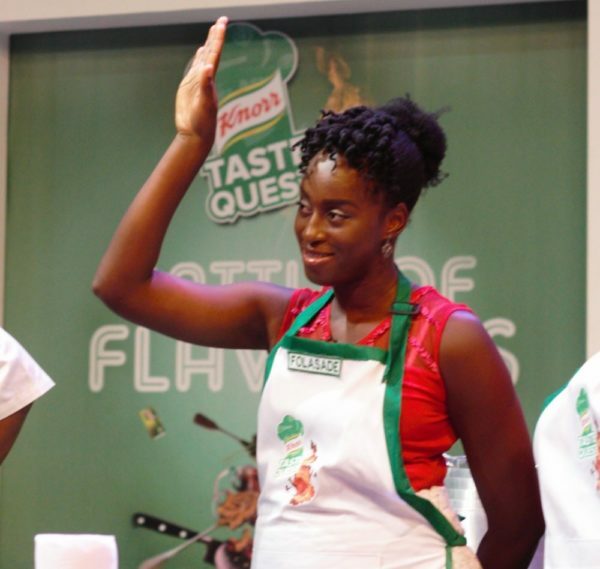 Now you can imagine my shock last week when I watched the Knorr Taste Quest show and the contestants were asked to dice a huge basin of pepper. A BASIN OF PEPPER!! Your favourite could never! 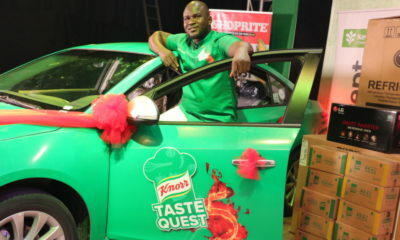 After the whole pepper and coconut drama, 12 contestants made it through to the Knorr Taste Quest live Kitchen show. So, let’s get to know them, shall we? Francis is 24 and an only child born to a single parent. Dicing a bowl of pepper was tough but his dream of being a professional chef kept him pushing. When he is not cooking, he relaxes with books and movies. I spot a salt bae hand in this pic. Hope he is as good as he appears. Valentine is a 30 year old engineer turned actor from Abuja. He dreams of having a world class restaurant. Black and Handsome. Yes, ladies…. He is SINGLE!! 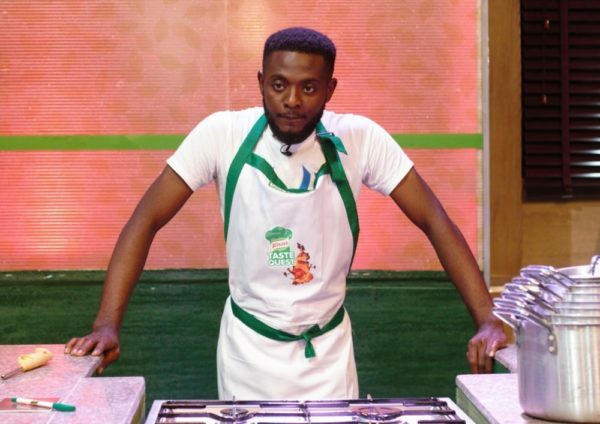 Gbolabo, widely referred to as Gibbs is a 25 year old multi talented culinary enthusiast. Born and bred in Lagos state and serves as a Minister of God and a performing gospel artiste. Liana Homwe was born in Zimbabwe and became Nigerian a few years ago. Her hobbies are reading and baking. Daphne is a 25 year old amateur chef whose passion for cooking led her to be on KTQ5. She’s happily married and has an adorable son who calls her ‘baba’. When not cooking, she loves to swim and watch movies. I love this lady. Her energy is infectioussssss!! Komolafe Busuyi is a 29 year old graduate of political science from the University of Ibadan. He is currently undergoing his Masters in the same University. With all this political science certificate, I hope he becomes that president who will share the national food to all. Folasade Ijalana is 33 years old and happily married with a son. 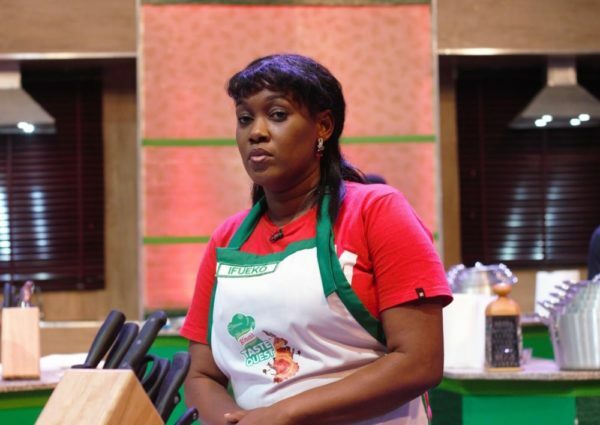 She considers herself a die hard food fanatic, a self taught cook and a DIY guru. She’s a girl with a big heart, never afraid to try new things and never does ordinary things. She looks so innocent. Go girl! Adamu Makori is a Social Media Specialist and Graphics/Web designer, who hails from Kaduna state. When he’s not designing something, he’s most likely cooking something up in the kitchen. A specialist who can cook issa husband material, 1000 yards! Ifueko is a 37 year old legal practitioner from Edo state. She loves cooking and singing. Just look at that face. She’s not here to play. He is a lover of creativity- reading, cooking, Dog-Walking, Traveling. He believes in love, freedom & equality. Dasola Abaniwonda is a 24-year-old lawyer at the Lagos State Ministry of Justice. she likes to cook, read and hang out with friends. Love Nwoko is a human resources practitioner, self acclaimed foodie and amateur blogger. When she’s not working she spends her time nurturing her young family while experimenting with what she watches on food network and trying very hard not to be the worst scrabble player. I’ve found a partner in a mess when it comes to scrabble. There you have it, the top 12 contestants. 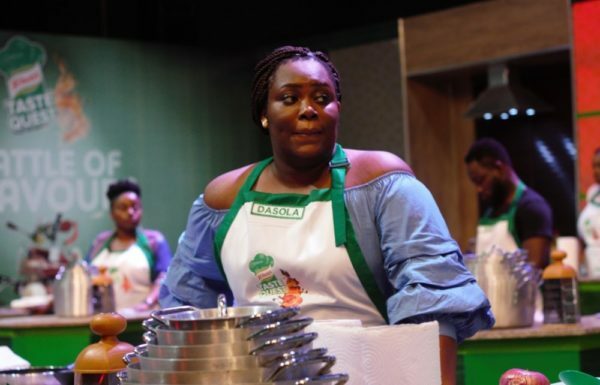 The kitchen is heating up and the drama’s sizzling! If you are not watching the show, you are on a long thing. Can wait for this. Light! Camera! Action!